The essential equipment for those who like to mix their drinks and shake it all up! 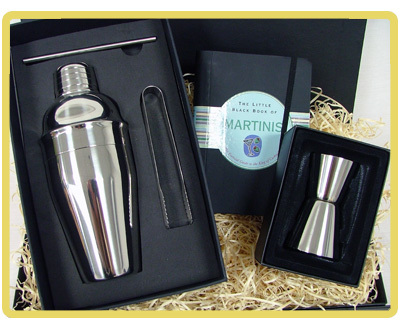 Includes a lovely chrome cocktail shaker, ice tongs, metal stirrer and double sided twin alcohol measure - just add ingredients to complete your cocktail making kit! 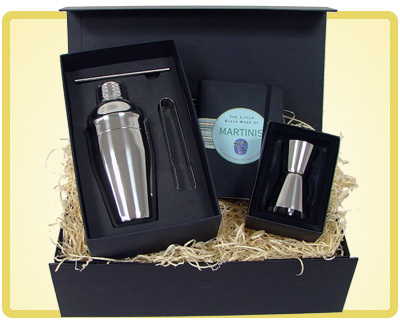 And just to make sure you get it right, the Little Black Book of Martini Cokctails is included to help you on your merry way! Kingscroft Logistics Ltd, 30 Ballot Road, Irvine, Ayrshire, KA12 0HW. Tel : 01294 313348.